Iqra comes to Rafia and says her Ammi’s health is not well so she wants to go and see her. Rafia says, we will go on the evening. Iqra says, I want to go now. I will go alone. Rafia asks the servant to get Auto for her. Iqra sits in the auto and leaves. Salman follows her in his car. Iqra comes to the park and goes inside. Salman comes. Khalid is happy seeing Iqra. She says, I came here with lot of trouble. Salman thinks about the misscalls and opines that something is hidden from him. He sleeps. Ali recalls about Alisa’s words and hatred. He thinks, did I deserve the hatred? My intention wasn’t bad. I tried to protect you from the humiliation. Khalid calls Iqra. Salman picks the call but he doesn’t speak. Iqra looks on. He calls again. Iqra picks the call and asks him not to call her. Khalid says, I am trying to settle down with you. Shanze thinks, I got into a big trouble. I have to handle Agha’s issue with patience. She tells her friend that it is a new problem. Her friend says, he is a mad guy. Can do anything anytime! Shanze says, you are right? Give me some idea. Her friend asks her to find a way to keep him away. Shanze says, I am getting scared. Her friend asks her to be in limits and do as he says until he gets over her. Shanze agrees. Sarmad checks Shabi’s pulse and fever. He lifts and takes her to the room. Tipu calls Sarmad and asks about Shabi. Sarmad is speechless. Tipu says, we will be coming to your house with breakfast. Dadijaa asks him, did you talk to Shabi. Tipu says, I talked to Sarmad. Sarmad wakes up Shabi. Shabi tries to get up, Sarmad asks her to rest. He says you have high fever. He takes out her jewellery. Suddenly he gets an attack and he pushes Shabi on the bed. Shabi is shocked. He comes to the balcony and see Shabi’s family entering his house. He gets worried. Doctor comes and checks Shabi. He asks Dadijaa to give tablets to Shabi. Dadijaa gets worried. Nafisa asks her not to worry. Saleema says, what might have happened last night. Tipu says, what Sarmad will think. Kiran gets worried about the reception. Nafisa says, we will take Shabi with us. Sarmad agrees. Everyone leaves from the room. Sarmad threatens Shabi that if she tells anything to Dadijaa or others then she have to face the worst. He asks her to get ready. Bhai Miya sees Alisa with Ali on his bike and is shocked. Alisa gets scared. Ali tries to explain but in vain. Everyone look at them. Ali says, I am not like that. Bhai Miya says, I mistaken you to be good. He comes home and calls Zainab. Zainab says, she went to University. Bhai Miya asks her to speak with Alisa. Zainab asks, where did you go with him? Alisa says, university. Bhai Miya says, reputation is maligned in the neighbourhood. JD tells Maheen that her sister is having affair with the neighbour. Maheen says I have faith on my sister. Phuphu taunts Maheen. JD tells to Phuphu about Alisa. Maheen says, nothing is like that. Phuphu says, I have seen them together in Iqra’s marriage. JD laughs. Maheen says, it is just a misunderstanding. Phuphu insults Iqra and Alisa. Maheen is hurt. Bhai Miya is tensed about Alisa. His employee comes and tells him about trusting Alisa. Ali says, I just gave her a lift. I was passing from there.. Safia says, why did you give her lift? Zainab came and insulted us. If you likes her then you would have tell me. Ali says, I like her. Safia says, Zainab taunt me. Ali says, we didn’t do any mistake. Safia says, I gave a good reply to her. Alisa is sad. Shanze comes and asks, why you didn’t sleep yet? Alisa says, I am sad that bauji didn’t listen to me. She says, I love them very much and wants to prove my innocence. Shanze says, soon they will realize that your intention was not wrong. She asks Alisa to sleep. Khalid calls on Iqra’s Landline number but the call doesn’t connect. Maheen calls Zainab and enquires about Alisa. Zainab says, my ears are cooked listening to people’s taunts. She asks about her father. Zainab says, he is bearing the same. Maheen says, JD and Phuphu are taunting Alisa. Zainab says, that’s what we expect them to do. Zainab tells her that Iqra is happy in her home. Maheen asks her to have faith on them and ignore people’s taunts. Ali tries to prove his pure intention. Bhai Miya asks him never to cross his path. Agha’s friend is pulling his leg regarding Shanze. 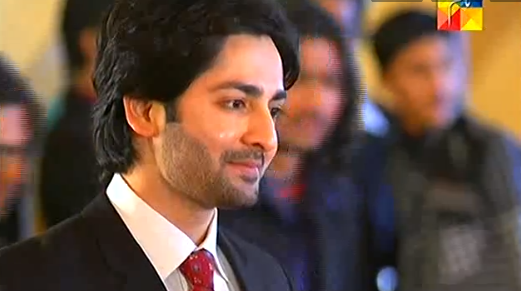 Agha looks at Shanze. They say we had a doubt before but now we are sure that the girl will join our group. Agha rubbishes the talk. Ali tells Safia that Bhai Miya doesn’t listen to him. He says, I am worried about Alisa. Safia says, you are not wrong. You don’t need to give the explanation. Safia says, I will talk to Zainab. Ali says no, if Bhai Miya talks rudely with you then I won’t bear it. Shanze speaks with her friend. She says, your father should have listened to your sister. Shanze tells her that her father is very strict. Shanze passes by Agha. Agha loses his heart to her. Rafia comes home and calls Iqra. She asks her to keep the phone properly. Iqra says okay. Phone rings. Rafia picks the call and talks to Sayeed. Suraiya (matchmaker) comes to Zainab’s house and tells about a good alliance. Zainab says, we don’t have any plans right now. Suraiya says, I saw the boy for Shanze. Zainab says, but Alisa needs to be married first. Suraiya taunts Alisa and says let her be at home. Marry your other girl Shanze. Zainab takes her daughters’ side. Suraiya asks her to tell if she wants to get marry Shanze. Zainab tells Bhai Miya. Bhai Miya is shocked and disheartened as people estranged behavior towards him. Bhai Miya says, why I didn’t die before listening to peoples’ taunts. Zainab and Bhai Miya cries. Alisa cries miserably. Shanze asks, you are strong. Alisa says, I want to die. I forced bauji to request death. Shanze says, he didn’t mean it. Alisa says, I am broken. I am responsible for their insult. Agha’s friend ask him to propose to Shanze. Agha says, no one can ignore me. He asks them to check. Agha comes to the classroom and asks Shanze to get up as he wants to talk to her. Professor asks Shanze to go. Shanze asks him, what is this nonsense? Agha says, it is my style. He says, my friends think I love you. Would you be my girlfriend? Shanze says I am not that type of girl. Agha says, so let’s married. Shanze says, I can’t think about marriage with you. Agha calls a person and asks him to give testimony for him. Agha says, I will send my parents to your home. Shanze asks him to understand. Shanze leaves. Agha looks at her. Alisa asks Shanze to call Ali as she wants to meet him. Maheen says, bauji took a decision. Bhai Miya takes a decision. Salman receives a call from his Abbu. Iqra takes a sigh of relief as she thought it is Khalid’s call. Salman asks Rafia to make tea. Phone rings, Rafia picks the call. This time around it is Khalid’s call. Rafia picks the call but he doesn’t speak. He calls again. Rafia asks Iqra to pick the call as she is making tea for Salman. Iqra picks the call. Khalid tells her that he is waiting for her and asks her to come to the balcony. Iqra says, I won’t come. Khalid says, then I will come inside your home. Iqra comes to the balcony after Salman goes to her room. Khalid gets happy and thinks Iqra is burning by love. He leaves. Rafia asks, where were you? Iqra makes excuses. Rafia asks her to take rest. Safia looks at Ali and says I am thinking how I will live alone after you leave for London. Ali says, but I have to go. There is no one for us. Safia says, I want to see your future secured. Ali says, that’s why I am going. Safia says, I wish I have a bahu. Ali says, we don’t have money for marriage now. Safia asks him to eat the food and goes to dry her clothes. Ali is eating and thinks about Alisa. Safia screams in pain. Ali rushes to her. Safia says, my bone is broken. He takes her to the hospital. Alisa and Zainab come to her and says we will come if you need any help. Zainab asks Ali to call them. Zainab tells Alisa to make soup for Safia. Bhai Miya asks about Alisa. Zainab says, she went to Safia’s home. Bhai Miya praises Ali and Safia. He asks her to give monetary help to them if they need. Alisa compliments Adi for keeping the kitchen clean. Ali goes to get the bowl. She cook the food. Ali says, everything is heading fast. Alisa says, everything look good with time. We should not hurry. She asks him to eat the food. Safia comes. Alisa asks her about the pain. Safia says, it is still paining. Alisa changes the clothes of Safia. Ali tells Alisa that he will drop her home. Alisa asks, can you leave me? Ali says, I don’t think so. Ali says, we can go out if you wish. Alisa says, I know you are joking. Alisa says, I shall leave. She leaves. Ali looks at her smilingly…….Kisay Apna Kahen Plays……………………. Iqra is standing on the terrace and recalls Khalid (Aamir). She hears the phone bell and goes to pick the call. It is Khalid’s call. He says, I am Aamir. Iqra asks, what do you want? Why don’t you leave me? Khalid says, I know you are awake as I am awake here. Iqra says, don’t trouble me…..Khalid says, I know you are living a helpless life. Your husband doesn’t fulfill your needs and wishes. Iqra says, I am talking to you by keeping stone on my heart. Khalid says, my destiny is hiding beneath that stone. Iqra disconnects the call. Laiba tells Maheen that teacher asked her to bring new book. JD tells Phuphu to see his condition. Phuphu taunts him. JD says, I am paying rent for my own car. Maheen tells Laiba that she will get her a new book. Maheen asks JD to drop girls to the school. JD says, he won’t and taunts Maheen. Maheen says, I will drop them. Maheen asks her daughters to say salaam to Dadi. Phuphu bless them. Ali asks Alisa, what you are cooking? Alisa says I am making Yekni (gravy) for your ammi and your favorite dish for you. Ali asks, do you know about my preference? Alisa says, I know everything. Your ammi told me everything. Ali says, Ammi knows everything. He gives her chocolate. She thanks him. Alisa says you can’t ignore any of my dishes. Ali says, you don’t know anything about me. Alisa says, I am your friend, not your ammi. Ali thanks Alisa for the timely help. Alisa says, it was our duty. She asks, are we not related to each other? We are neighbours and friends. Ali says, we love you very much. Alisa says, we may need you tomorrow. Safia praises Alisa. She says, Zainab has given her good values. She says, I wish I had a daughter. Ali says, why you are sad. I do every work naa. Safia says, you are my lovely son. I am living life by seeing you. Ali goes to make tea for her. Iqra is changing Salman’s pillow cover. Salman comes and insults her. He says, you can’t imagine how much I hate you. You killed my Iqra. I hate you very much. I hate you, your presence and your face. I will take revenge. You will die every moment. You will ask for death but it will not come. I hate you forever. Iqra gets hurt. Ali recalls about Alisa and smiles. Alisa explains Ali about cooking soup. Ali stares at her smilingly. Ali says, I love you……………Alisa turns and asks, what? Ali says, I seriously love you. Alisa asks, what do you mean? Ali says, I don’t know what is happening with me. I was trying to hide my feelings but it is the truth that I love you. Alisa says, we are friends and I didn’t expect this from you. She gets upset and leaves. JD comes to Khalid. Khalid makes him remember about the condition of rent for the car. JD gives him 600 Rs. JD says, lets play. Khalid says, I won’t play for less money. I will play for the big time. JD says lets play then. Khalid says, I am waiting for destiny game. Alisa thinks about Ali’s confession of love. Zainab says, I went to Safia. She is fine now. Alisa asks about her. Zainab asks her to give food to Safia. Alisa says, I am not well. Zainab says, let it be. Zainab take care of Safia. Safia thanks her. She asks about Alisa. Zainab says, she is busy with house work. Safia blesses Alisa. Zainab says, I will go now. Ali looks sad. Sayeed explains to Iqra that parents never take any wrong decisions for their kids. They want better future for their kids. We didn’t think like that nor your parents, circumstances was wrong. We realize our mistake. We feel pain to see you like this. Rafia says, we tried to bring happiness in Salman’s life. Sayeed says, it is very sad that Salman doesn’t behave properly with you. Iqra says, I want to know my mistake in this. Sayeed says, we are at fault. We have forced Salman to marry you even after knowing about his love for other girl. Rafia says, we thought everything would be fine. Iqra says, you should have told me before. Sayeed says, that girl’s background was not good. Iqra says, when I left home, I have seen a spark in my parents’ eyes. I couldn’t hurt them. I can’t take any wrong decision. She says, I will not tell anyone. Rafia says, you can win Salman’s heart. He isn’t bad at heart. Iqra says, I hope so. Sayeed says, you will…..
Shanze tells Zainab that she is leaving for University. Alisa says, I will also accompany you. She tells Zainab about her result day. She says, I will come back in an auto. Ali is feeling bad as he couldn’t see Alisa after his confession. Alisa’s auto is stopped on the road. Alisa is standing on the road. Ali comes there. Alisa says, I will go once my Rickshaw repairs. Driver says, it will take much time. Ali says, if you say then I will drop you. Alisa says, I can’t come with you. If anyone sees me with you then it will be a problem for me. Ali asks her to come with her. Alisa sits on Ali’s bike. Bhai Miya is sitting at the garage. The mechanic sees Alisa on the bike with Ali. He tells Bhai Miya. Bhai Miya turns and sees them. Alisa gets down the bike and is shocked to see Bhai Miya. 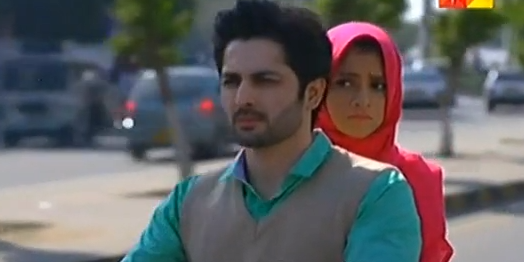 JD tells Maheen and Phuphu about Alisa’s affair with Ali. Phuphu says, I knew it. Ali tries to clear the misunderstanding but Bhai Miya asks him not to come in his way again. One lady brings proposal for Shanze. Zainab says, my elder daughter Alisa needs to be settle down first. Lady says, don’t talk about her. Everyone know about her affair. Alisa hears it. About the show: Ru Baru is the story of a young girl, Shabiha, who after losing her parents moves in with her grandmother and uncles, Jameel and Shakeel and is brought up by them. 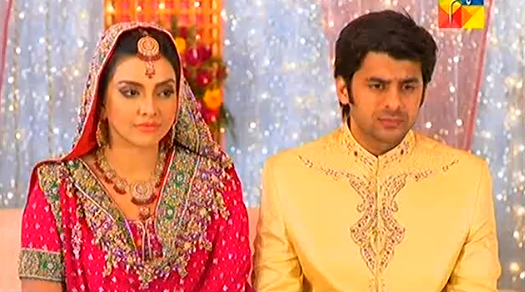 Sabiha’s grandmother gets her engaged, however, her cousin’s friend Sarmad breaks off her engagement and marries her. It is only after that, that she discovers Sarmad is her step mother’s son and new facets of his obsessive and emotional personality. Find out what the future has in store for the two. Sarmad and Tipu are seen coming out of the airport. Tipu says we have studied in Turkey for 4 years, but can’t do a job anywhere else. I will join my family business. He asks about Sarmad’s plans. Sarmad says, I didn’t think about it. Tipu asks, you said that after your parents death things had changed at home and that’s why you went abroad. Sarmad says, something doesn’t change. Tipu, don’t worry. He asks, who is coming to take you. Sarmad says no one. Tipu says, my family came to pick me. He asks Sarmad to take care of his things which he brought for Kiran. Kiran asks everyone to come for breakfast. Tipu hugs his Dadijaa. Dadijaa blames her son Jameel for sending his son Tipu for further studies. She says, you have become thin. Tipu hugs Dadijaa. Sarmad comes home and imagines him playing with his mom. Servant Karamdeen comes and asks him to have breakfast. Sarmad says not now. Tipu gives gifts to everyone. He asks where is Shabiha. Shabiha is seen making pot. Ariz says, she might not know about your arrival. Tipu’s chachi Saleema says, she might be making sculptures or reading books. She is different from other girls. Dadijaa says, everyone are different. Just look at yourself there is a vide difference between you and your sister Nafisa. Kiran says, ammi is right. Shabiha don’t go anywhere. Dadijaa says, she is very innocent and simpleton and that’s reflects her beauty. Kiran taunts Shabiha. Ariz tells Shabiha that Tipu bhai came. Tipu says, I didn’t know she makes sculptures, in western there is a value for creative artiste. Ariz says her room is haunted like we see in English Films. Shabiha comes, Shakeel asks her to sit in his place. Kiran sits on the sofa. Dadijaa asks her to make way for Shabiha. Tipu and Shabiha greet each other. Tipu says, I came to know that you have become a big artiste. Shabiha smiles. Tipu says, I would have become an artiste if not went to foreign. Kiran taunts Shabiha. Tipu gives gift to Shabiha. Dadijaa asks her to take it. At Sarmad’s house, his servant Karamdeen picks the call. He tells someone that baba has come back. He asks, when did he come? He asks Karamdeen to give the call to Sarmad. Karamdeen says he is sleeping. Other person says, I will talk to him later. Kiran comes to Tipu’s room. Tipu hides. Tipu stops her way. Kiran seems upset with him as he talked to Shabiha. He asks, are you jealous of her? Kiran says, me and jealous with Shabiha-no way. Dadijaa tells Jameel and Shakeel that they aren’t look beyond their families. She says, I will marry my Shabiha. Jameel and Shakeel says we will get her married. Dadijaa says, Kiran is younger than Shabiha and your wife is talking about her marriage with Tipu. Jameel says, Tipu likes Kiran, what we can do? Dadijaa cries and says what will happen if I dies before Shabi (fondly called as Shabi) marries. She asks them to promise that they will not think about their children’s marriage before Shabiha’s marriage. They promise her. Dadijaa asks Nafisa to get the jewellery box which she has given her so that she can keep Shabiha’s jewellery seperately. Kiran tells her mom Saleema that you know how much I waited for Tipu and Dadijaa kept this condition. Her mom Saleema says, I know. What is this nonsense condition. Nafisa says, amma is right. Shabiha’s uncles have responsibility towards her. They have to get her married. She asks about the keys. Saleema gives the keys. Dadijaa asks Shabiha to send Nafisa to her. Saleema asks, what is the need of keys? Nafisa says, ammajaa asked me to get the jewellery box. She wants to keep aside jewellery for Shabiha. Saleema says, ammajaa’s world starts and ends with Shabina. She don’t care about our children’s life. Nafisa says, Shabiha’s mom has right on this property and home. Saleema blames Shabiha’s mom and says she left Shabina with us. Shabiha is haunted, who will marry her? Shabiha hears everything and gets hurt. Saleema says she is unlucky girl. Nafisa sees Shabiha and asks her to come. Shabiha tells her that Nanijaa is calling her. Nafisa asks her what you have done. Saleema says, she is very clever. Nafisa takes Shabiha’s side and says she is very innocent girl. Kiran says it is good that she has heard. Nafisa says, what will happen if Ammajaa knows about it. Shabi recalls about Saleema’s words and gets troubled. she gets an asthmatic attack. Everyone are sitting for dinner. Ariz tells her that Shabi isn’t well. Dadijaa says, no one informed me. Saleema lies saying I informed you. Dadijaa says, you didn’t inform me. May be you have inform me in your heart. Dadijaa comes to Shabi and asks what is the matter? Shabi cries and hugs her. Dadijaa asks her, what is the matter? Shabi asks her to get Tipu and Kiran married. Dadijaa asks, did anyone tell anything to you. Shabi says, just get them married. Dadijaa signs yes. Dadijaa comes back and tells that Shabi is not well. She asks Jameel and Shakeel, what you have thought about Shabi. Jameel Ahmed says, Mirza saheb is our friend and he has a son who works in police dept as surgeon. He does post mortem. If you permit then he will come. Kiran says, he might be having knowlegde about dead person. He is suitable for Shabi. Dadijaa gets angry. Shakeel Ahmed asks Kiran to apologize to Dadijaa. Dadijaa asks him to call them tomorrow. Kiran is upset. Ariz and Tipu comes with food plates. Tipu tries to talk to her indirectly. Kiran asks him to leave. Tipu asks her to eat something. Kiran says, no. Dadijaa insulted me. Ariz says, you should not have said anything to Shabi. Tipu says why you said that. Kiran says, Shabi is like a dead person, lifeless and without feelings. Tipu says, she isn’t that bad. Kiran asks him to marry Shabi. Ariz hides beneath the table. Saleema comes and searches for him. Ariz gives the magic pencil to Shabi. Shabi jokes with him. Ariz asks her to keep it safely. Saleema asks Ariz, where were you? Jameel calls Mirza and invites him home. He tells Ammajaa that Habeeb Mirza is coming in the evening with his son. He asks Ammajaan to tell Shabi. Habeeb Mirza comes to the house with his son who looks very much elder. He likes Shabi and tells his decision. Dadijaa says, we need time to think about the proposal. Kiran comes to Tipu and asks did you get only two things for me. Tipu says, I got many things for you. He calls Sarmad to get the things. Karamdeen picks the call. Tipu asks him to give the call to Sarmad. Sarmad greets him. Tipu asks him to come home and deliver the things. Sarmad asks him to message the address. Jameel asks, what you have thought about the proposal. Dadijaa says, I needs time. Saleema says, it is a good proposal. Dadijaa says, I didn’t talk to Shabi yet. He is very much elder than Shabi and I don’t like the proposal. Jameel says, I can’t keep him waiting. Mirza calls. Jameel picks the call. Someone comes to Sarmad’s house. Karamdeen informs him that Sarmad went somewhere. Jameel says, groom’s father Mirza asking to finalise the engagement day. Saleema says, we should call them. Dadijaa says, I can’t decide without Shabi’s consent. Ariz asks Shabi to tell some story to him. Shabi asks him to sleep. Ariz runs with her book. Shabi runs after him. Sarmad is sitting in the hall. He turns and looks at her. They have an eye lock. Shabi goes to her room. Tipu tells everyone that Sarmad likes Shabi. Dadijaa agrees for Sarmad’s proposal. Sarmad- Shabi and Tipu – Kiran get married. On their wedding night, Sarmad sits beside Shabi, press her neck and makes weird face. Shabi gets shocked. Maheen tells Zainab that JD told her about Salman. Zainab says, there is no comparison between JD and Salman and what was JD’s need to spread this rumour. Maheen asks her to enquire about it. Zainab says, Iqra is my lovely daughter. Maheen says, it might be a rumour. She asks money for paying Laiba and Zara’s fees. Zainab says, we have given you money for the taxi. Maheen tells her that JD makes excuses whenever she asks for money. Zainab says, I will give you money. Iqra serves the food to her family. She sits beside Salman. Salman gets up from the chair. Sayeed and Rafia ask him to sit and finish the food but he refuses. Iqra feels bad. Sayeed suggests to Salman to take Iqra for outing. Salman says, I don’t have time for the unnecessary things. Sayeed says, you married her. Salman says, you forced me to marry her, now she is your responsibility. Zainab calls at Iqra’s inlaws home. Rafia picks the call and greets her. Iqra takes the call and says I am fine. Zainab says, everyone are fine here. She asks, are you happy? Iqra says I am very happy, uncle, aunty and Salman take care of me. Zainab says, I got worried about you. Iqra says, don’t worry about me. I am fine. Zainab asks her to take care of herself. Ali sees Alisa coming on the terrace and pretends to talk to Shazia. He says, you love me but I don’t love you. He asks her to forget him. Just then his phone rings. Alisa laughs as he is caught pretending. Ali makes excuses. Ali tells her that he is going to London. Alisa says, I will miss you. Iqra offers Namaz and prays to Allah. Rafia asks Iqra, why you didn’t come for dinner. Iqra says, I didn’t like to have it. Rafia asks her to come to her room or watch TV. She checks her fever and goes to get tablet for her. Rafia tells Salman that Iqra is having fever. Salman says, I don’t care about her. Do you want me to take care of her? Rafia asks her to have pity on her. Salman asks, did my Iqra was not someone’s daughter? Rafia says, your wife needs your attention and love. Salman says, I won’t come home for lunch if you speaks about her. He gets angry. Rafia takes Iqra to the hospital for getting the medicines for her fever. Khalid is standing nearby and looks at Iqra. Music plays………..He follows them to her house. JD comes to Khalid’s garage and looks at his car. Khalid asks him to come. JD says, you have everything. Khalid says, I will get everything, truth will be out soon. JD says, I am very worried. Khalid asks him to give Iqra’s telephone number. JD asks, what I will get? Khalid says, I will give you the car on rent. JD wonders from where to get Iqra’s number. He says, I will try. He asks Maheen to get Iqra’s number. Maheen says, she has Landline number and I don’t have her number. JD asks her to get from her mother. Maheen asks him to get Iqra’s number from her father. JD says, I need to talk to Salman. Maheen asks, what is the matter. JD gets angry and leaves. 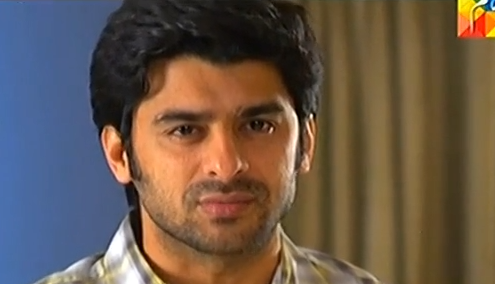 Khalid tells Majid that Iqra is not happy after marriage. He says, I want to get her. Majid says, this love is making you nuts. Khalid says, think whatever you like. JD comes and gives Iqra’s number to Khalid. Khalid gives the car keys to JD and asks him to share his earrings with him. JD says, you are very shameless. Khalid says, it is like a dream. JD asks him not to tell anyone that he gave the phone number of Iqra. Khalid calls on Iqra’s landline number. Sayeed picks the call but Khalid stays silent. Iqra comes and gives tea to Sayeed. Khalid calls again. Iqra picks the call. Khalid says, I am Aamir, your admirer…I want to make friendship with you. Iqra says, I am married. She tells Sayeed that it was a wrong number. Zainab comes to Iqra’s home. Zainab asks Iqra, don’t you take care of yours. Iqra cries and hugs her. She says, I miss you all very much. She says, I am very happy as you came here. Zainab asks, did Salman take care of you? Iqra praises Salman and her inlaws. Rafia brings the tea. She praises Iqra. Zainab says, it is Iqra’s home only. I want to take her home for 2 days. Iqra refuses to come with her and says this is my home. I want to live here. Shanze tells her friends that she couldn’t submit her form as the counter is closed. Her friend asks her to take the help of Agha. Shanze refuses to take his help, but her friends ask her to take his help. Shanze agrees. She goes to Agha. Agha agrees to help him. Agha comes to the counter and submits the form. Rafia and Iqra come to the supermarket. Khalid follows them. He tries to hold her hand. Iqra is shocked. Khalid tells her that he loves her. Rafia comes and says lets go. He comes home. Iqra opens the gate and asks, you….here? Khalid says, I know you are not happy here. Iqra says, it is none of your business. Iqra asks him to leave. She says, you shall be ashamed? He says, I will reach your heart. Iqra closes the gate. Khalid calls on the Landline number again. Salman picks the call. Iqra gets tensed. JD tells Khalid that his marriage is not possible with Iqra. Khalid says, it is a matters of heart. I can’t see her with anyone else. JD says, she got married yesterday and is very happy at her home. Khalid says, if she got married then she can get divorce too. He asks JD to take back his car by paying 2 Lakhs Rupees or get his sister in law marry him. JD is trapped. Zubair starts praying infront of the grave as someone is coming, but it seems that the person is not concerned to the deceased person. He asks his friend, why you have given me wrong directions. His friend says, I gave you wrong details as you used to give me small amounts. He strikes a deal with him to pay him more money. Zubair agrees. Sayeed tells Salman that he should have reached for the breakfast as he know about the ritual. Salman says, my Iqra died because of me. She didn’t commit suicide but you both have killed her. Don’t ask me to do anything. You have forced me to marry your friend’s daughter. Rafia says, you should have gone to your in-laws place for our sake. Salma refuses. Rafia says, anyways you have to come for your valima. Salman says, whose Valima? He asks, do you think I will sit with that unlucky girl for Valima. I don’t. I begged you for my Iqra but you both didn’t listen to my appeals. It is up to you to bring her or let her die in that house. For me, that girl is nothing but like a thing kept at our house. Khalid is sad as Iqra got married. Majid asks him to get her out of his heart. Khalid says, my heart says that she is meant for me. Majid says, don’t have hope on JD. He asks, what you will do with JD’s car. Khalid says, I will sell it to someone. Sayeed and Rafia come to Bhai Miya’s house. Phuphu cross questions them about Salman’s whereabouts. Sayeed tells her about Salman’s friend funeral. Rafia says, he is very tired so rested at home. Bhai Miya says, they have come and it is okay with us. Phuphu asks them, whether he will come for Valima or not. Sayeed tells Bhai Miya that they want to cancel the valima. Everyone are shocked. Bhai Miya says, we have invited some guests. How could I refuse them. Rafia says, Salman is very sad about his friend’s demise and that’s why he didn’t want to celebrate happiness. Bhai Miya agrees. Phuphu doesn’t feel good. Sayeed says, we will take our daughter. Bhai Miya agrees to send Iqra. Phuphu thinks something is suspicious. She tells JD that they have cancelled the valima. They are surely hiding something. JD asks, what is our gain in this? Phuphu says, will have definitely. JD asks about Maheen. Phuphu says, she stayed at her mother’s place. She asks JD to see her face instead of Maheen, as its equals to one Haj reward. JD jokes with her and leaves. Rafia tells Sayeed that Iqra prepared the dish. Salman comes. Sayeed asks him to have food. Salman says, I have eaten the food. Iqra requests him to have food as she has prepared his favourite dish but Salman is still angry on her. Nazim Saheb tells Bhai Miya that DCO Saheb is not agreeing with his proposal. Bhai Miya says, what will happen? I can’t decide on anything without talking to my workers. Bhai Miya asks him to arrange his meeting with him. Nazim Saheb says, he will not agree. Bhai Miya says, we won’t close our workshop. Nazim Saheb leaves. Iqra tells Salman that she has pressed his shirt. Salman gets angry and asks, how dare you touch my clothes? I told you not to touch any of my things and warns her. Iqra gets teary eyed. Ali comes with Safia and tells Zainab that Ali got admission in London university. Zainab congrats them. Safia says, we don’t have anyone except you in this city. Ali stares at Alisa and spills tea on his shirt. Zainab asks Alisa to take him inside for washing his shirt. Alisa asks him, why you brought the sweets. Ali says, to distribute among the loved ones. she says, I like chocolates. Ali says, I will get it for you. Rafia asks Salman to take Iqra to her mother’s home. Salman says, I don’t have time for the unneccesary things. Rafia says, she is your wife. Salman says, she is not my wife. She is forced on me. Iqra hears it and feels bad. He says, don’t expect anything from me. Rafia says, she is someone’s daughter. Salman asks, who was that girl who died for me? You brought her here so take care of her wishes. Zindagi ab Zindagi plays………..
Shanze tells Alisa that Ali sent chocolates for you. Shanze gives her one chocolate. Alisa says just one and goes to asks Ali. She throws chocolate on him. Ali says, I sent the packet but I think custom officer took it. Alisa thinks Shanze might have taken it. Sayeed’s car gets punctured on the way. They take their car to Khalid’s mechanic shop. Sayeed asks him to repair his car. Khalid looks at Iqra and music plays. Rafia tells Iqra not to tell anything about Salman to her parents. She says, don’t tell them about Salman’s treatment towards you, his affair, about that girl who committed suicide and that Salman didn’t accept you as his wife until now. Khalid overhears everything and smiles. Iqra says don’t worry, I will not tell to anyone. Khalid repairs the car. Sayeed offers money, Khalid doesn’t take it. Sayeed thanks him. They leaves. Khalid seems happy. In the University, Agha throws chit outside the window and then signs Shanze to throw it back during the exams. professor caught her and takes her to the examiner. She forgives her and asks her not to repeat her mistake. Khalid tells JD that he has won. He says, it is my prayer’s efforts that I have won. He tells JD that Iqra is not happy at her home. I heard it with my own ears. JD asks, how did you know? Khalid says, she came to get her car repaired at my workshop. He tells JD about Salman’s affair. JD says, I will enquire about it. Agha comes to Shanze and asks her, why you didn’t tell the examiner about me. Shanze says, I didn’t lie either. He asks, did you get scared with me? Shanze says no. JD tells Phuphu about Salman’s reality and Iqra’s unhappiness. Phuphu says, my doubt was right. JD says, tell me what we have to do now? Phuphu says, I will do something. We have to lay a trap for Iqra to get your car. He asks him to send Maheen there so that she will enquire about her. Iqra is sleeping peacefully, Salman comes and switched on the TV to disturb her sleep. Iqra wakes up while he sleeps on the sofa. 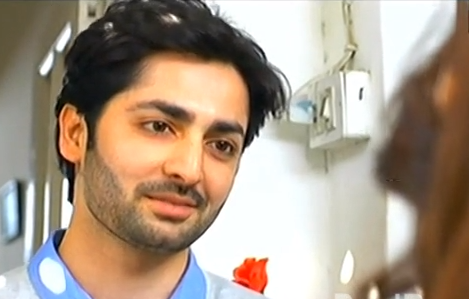 Zainab tells Maheen that Iqra is very happy there. Maheen says, she is not happy. Zainab asks, who told you. Maheen says, JD told me. Bhai Miya calls Sayeed Saheb. Sayeed Saheb wonders what to say to Bhai Miya. Bhai Miya fears what might have happened. Zainab gets worried. Sayeed picks his call. Bhai Miya asks, when you will reach? Sayeed tells him that there is a problem with Salman. Bhai Miya asks, what happened? Just then he sees Salman and gets relieved. He tells Bhai Miya that there was a problem with Salman’s sherwani. Salman comes back home. He recalls how he eloped. Flashback starts…He sees Ashfaq’s daughter Iqra on the bus stand waiting for him with her stuff and smiles. He recalls about his father’s words and hides. Iqra calls Salman, but he didn’t pick her call. Zindagi Aye Zindagi Ab Tu Bhi Kab Apni Rahein……..song………….Plays. Salman looks at her for the last time and leaves. Iqra keeps waiting for him on the bus stand and leaves. Flashback ends..
Salman gets married to Iqra Ibrahim….Ashfaq’s daughter Iqra come and witness the wedding. She gets tears in her eyes. Salman looks at his love Iqra and says Qubool Hai…. Iqra wipes her tears. Salman too gets tears in his eyes. Everyone congratulates each other. Their wedding photo is taken. The newly weds leave from the function hall. Salman is not at all happy but is forced to marry Iqra. Iqra hugs her parents and sister before going to her inlaws home. Ashfaq’s daughter Iqra comes back home and cries miserably. She says, I hate you Salman….Kisay Apna Kahen song plays…………….She recalls the moments spent with him. The bride Iqra waits for her husband Salman. Rafia asks Salman to be happy with wife Iqra. She says, your life will be full of happiness and asks him to concentrate on future forgetting the past. Salman gets a call and he leaves in a hurry. Sayeed asks Rafia, where did he go? Rafia says, I don’t know. Doctor checks Ashfaq’s daughter Iqra and says she is no more. Salman comes to the hospital and comes to know about Iqra’s death. Doctor informs Ashfaq who breaks down and cries. Salman comes to the hospital ward and looks at dead Iqra. He cries badly. Zindagi ab Zindagi plays……Salman gets broken from inside. Rafia asks Sayeed, did you talk to Salman. Sayeed says, he isn’t picking the call. Iqra awaits for Salman and then sleeps. Rafia gives tea to Sayeed. Salman comes back home and is shattered. Sayeed yells at him and asks, where did you go? Rafia too asks him, where were you? Sayeed shouts at him and says Iqra was waiting for you. Salman tells them that his love Iqra has committed suicide and left him. He says, you have won….You snatched my Iqra from me. This is all you want naa, You wanted to kill my love, you both are the killers of Iqra. You thought that I will be happy with your friend’s daughter but I will make her life hell. She has to bear my anger and hatred, just see what I can do…. Iqra prays Namaaz and then prays for the family’s happiness. Salman comes to his room and sits on the bed. Iqra greets him. Salman gets angry. Iqra smiles. Salman says, you came with oodles of bad luck. You are unlucky woman. you have snatched my love. I won’t accept you as my wife. I just hate you. You are like a thing which means nothing to me. He pushes Iqra. Iqra gets shocked and cries…Zindagi ab tu bhi…..Plays…She looks at Salman who is sleeping on the couch. She wipes her tears. Bhai Miyan asks Zainab to make it fast as they have to go to Iqra’s house. JD lies to him saying his cab is in the garage. Iqra wakes up and finds him gone. Rafia comes to Iqra. Iqra greets her and asks her to sit. Rafia looks at the couch. She tells her that Salman went to the funeral of his close friend. She asks her to get ready as her family would be coming. Rafia asks her to tell the same thing to her parents. Iqra agrees. JD and Zainab talks with Sayeed and Rafia. Sayeed and Rafia say that the things which they have given was not needed. They thank her. JD asks them about Salman. Rafia replies that he went to his friend’s funeral. Maheen comes to Iqra’s room and compliments her. She asks her, is everything alright? Iqra lies saying everything is fine. Maheen asks her to share what is in her heart. She says, you are fooling us with a fake smile. Iqra says nothing. She asks, what did Salman give to you on the Muh Dikhayi. Iqra says, actually Salman…..Rafia comes and their conversation is interrupted. Rafia tells Iqra that I know that Salman might have misbehaved with you at the night. Actually his toy has broken. That girl was not Salman’s love but a toy. We have to handle Salman like we handle a kid. You have to give love and concentration to Salman so that he would forget that girl. Please don’t tell anything infront of your family. They want to see you happy. Salman is not bad at heart. Try to make your place in his heart. Take care of our respect infront of Bhai Miya. Iqra tells her, I will do as you says. Rafia blesses her. Bhai Miya brings Iqra to his home. Shanze asks, what did you get in Muh Dikhayi….? Alisa says, I couldn’t wake up in the morning. Shanze asks her, why you are seems upset. Iqra says, I am same as before. Phuphu comes and blesses her. She asks, where was Salman? Iqra tells her that he went to his friend’s funeral. Phuphu asks, didn’t your inlaws ask Salman? Iqra says, he told me. Phuphu says, I would have asked them. Iqra says, I am very happy there, need not worry about me.Ali tells Safia that his documents have been approved. Safia congrats him. Ali says, I am very happy. Safia says, Allah will solve our problems. Salman tells his parents that he would not come to his valima function. Sayeed tells Bhai Miya that they have to cancel the Valima ceremony. Salman yells at Iqra for touching his shirt. Alisa throws a chocolate on Ali and says, how dare you give me just one chocolate. Bhai Miya comes to Khalid’s garage. He eyes Iqra who is sitting in the car. Majid provokes JD to bet on the car keys for the card gambling. Khalid asks him to quit if he doesn’t have money. JD doesn’t think and asks Khalid to show the cards. Khalid shows the card, JD gets tensed. Majid says, you lost the game. Khalid takes his car keys and is about to leave. JD asks Khalid to give his car keys. Khalid didn’t comply and leaves with Majid. At the function, Ali dances with Alisa but it was only his imagination. Salman couldn’t able to take it anymore leaves from his place and picks Iqra’s call. He tells her that he is going through a lot. Iqra asks, why don’t you think about my pain. She tells him that she is committing suicide. Rafia asks Salman to come with her. Salman feels helpless. Ali compliments Alisa saying you are looking beautiful. Alisa says, I know…that guy was saying the same thing. Ali gets angry and asks her to show that guy. Alisa says, he was just praising me. I didn’t slap him nor you. Shanze asks her to come. Phuphu wakes up JD and says your car is missing. Someone might have stolen it. JD says, I left it at the garage for repair work. Phuphu taunts Bhai Miya for giving a cheap car. JD comes to Khalid and begs him to return his car. Khalid says, just assume what you can do if I return your car. JD says, I will give you whatever you want. Khalid asks him to get him married to Iqra. JD asks, how did you know her? Where you met her? Khalid says, I will be restless until I marry her. JD tells him that Iqra is going to get married tomorrow. Khalid asks him to get him married to Iqra and takes the car keys. Alisa comes and offers money to Ali for card printing. Ali says, I can’t take the money from my near ones. Alisa says, we are not close to you. Ali asks, can we be friends? Alisa says, may be…Ali laughs. Alisa asks him to take the money. Ali jokes with her. Bhai Miya calls Nisar and asks him to get the payment from the client Imtiaz. Nisar says, they will give the payment on time. He gives a letter to Bhai Miya. Bhai Miya reads the letter and gets shocked. Nisar asks, what is written? Bhai Miya says it is an order from Govt to close the workshop. JD recalls about the Khalid deal. Bhai Miya talks to his associates. Bhai Miya tells them that they can’t close the workshop because of the order. His associates ask him to support them. Bhai Miya says, I talked to Nazim Saheb about this issue. Bhai Miya calls Nazim Saheb again. Ali decides about writing a letter to Alisa but then thinks to send her a sms, but then thinks she don’t have mobile. He thinks how to convey his heart feelings towards her. 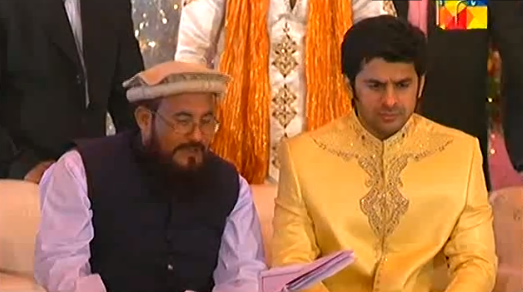 JD comes to Khalid and says that today is Iqra’s marriage. What you are thinking can’t be possible. Khalid asks him to kidnap Iqra. JD says, I can’t do it. I am tired of lying to my family about the car. Khalid asks him to give Iqra to him and take the car keys. Khalid tells him that he can give him pistol if he wants to stop the marriage. He threatens him to talk to Bhai Miya about his doings. JD is trapped. Shanze and Alisa complain to Zainab that they are not getting their stuff. Zainab asks them to get ready and go to parlour first. Sayeed comes and asks Rafia, did you make Salman understand everything. Rafia says yes. Salman is in his room with his friend. Sayeed asks her to explain Salman not to think about the past. He says, we have to reach on time as Bhai Miya is very punctual. Bhai Miya talks to Nazim Saheb about the govt order to close their work shop. Bhai Miya asks Nazim Saheb to talk to DCO Saheb. Nazim saheb agrees and leaves. Salman is sitting sadly. His friend comes to meet him. Salman says, I am about to cry now. I am sacrificing my happiness for my parents’s happiness. They didn’t think about my happiness. His friend asks him to take a decision. He says, there is 4 hours left for you now. Salman asks him to give the suggestion. His friend asks him to elope from his house. Salman starts thinking. Bhai Miyan asks Zainab when will the daughters come. Zainab says, I will call on the parlour number. Bhai Miya asks about his sister Phuphu. Maheen tells him that she will come with JD. Zainab calls on the parlour number. Alisa picks the call and says we are getting ready, will be coming there. Phuphu gets ready and tells JD, we will go to the function hall directly. JD says, I need your permission to talk to you. She asks, what? JD tells her that he lost his car in gambling. Phuphu is shocked. JD says, they betrayed me. Phuphu asks, what you will reply to Bhai Miya now. Your car is gone now. What you will do now. JD says, there is one condition to get the car. JD says, my friend Khalid have seen Iqra somewhere and wants to marry her. He said he will give my car if we get her marry to him. Phuphu says, it can’t be possible. JD asks her to do something. Phuphu says, I will do something. 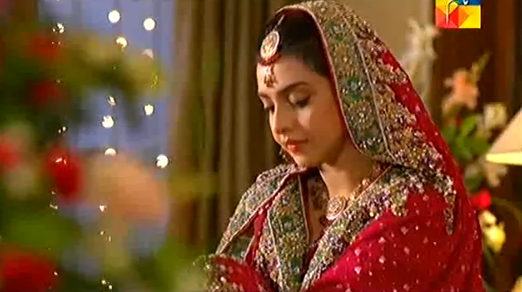 Ali gets ready to go to Iqra’s marriage. Sofia compliments him and says you are looking handsome. She plans to get him married after he settl e down in London. Sayeed asks Rafia, to call Salman. Bhai Miya welcomes the guests. Rafia knocks on the door and asks Salman to come fast as Sayeed is getting angry. When no reply comes from Salman, she comes inside and couldn’t find him. She goes to inform Sayeed. Sayeed calls on Salman’s number but his number is not reachable. Rafia asks him not to worry. Sayeed gets tensed. Rafia asks him to call on his friend’s number, but his number is also not reachable. Shanze is talking with Ali and compliments him. Alisa comes and asks Ali to be away from the girl’s mothers who are standing there. Ali asks, what did I do? Alisa says, they will ask you to marry their daughter. Ali says, I will not marry any other girl….He eyes Alisa smilingly. Alisa senses and gets shy. Sayeed and Rafia have the tough time as they tries to get in touch with Salman. Zainab asks Bhai Miya to call on Sayeed Bhai’s number as the guests have started gossipying. Bhai Miya calls on Sayeed’s number but he didn’t pick the call. Some guest tells Rafia that all the guest are waiting to leave. Sayeed thinks what to answer to Bhai Miya. Bhai Miya gets tensed. Precap: Salman is seen with Ashfaq’s daughter Iqra. Ali tells Safia that his documents have been approved. Sayeed picks the call and is about to tell about Salman. Salman and Iqra meet somewhere. Iqra binds his eyes to give him a surprise gift. She gifts him a shirt. Salman says, why you brought costly shirt for me. He gets happy and says I will keep it safe with me always. Iqra asks him to promise that he will be with her always. Salman promised her. Salman comes out of the dream. Rafia asks him, why he wore old shirt. She asks him to wear something new. She says, your Abbu gave me money for your shopping. Salman says, sometimes old thing looks good. Rafia says, I will get new clothes for you. Salman asks her to get little happiness for him. Rafia says, we can’t buy happiness. Salman says, why not if we can lose happiness by sitting at home. Salman leaves. JD calls Maheen as Laiba is crying. Maheen says, she is not well. She says, ammi asked me to come home for the Dholki Rasam. JD gets angry and asks her to get ready. Maheen tells to Laiba and Zara that she will get them ready. At the Dholki Rasam, everyone are rejoicing and playing Dhol. Salman tells his friend that he wants to grief for his condition. His friend says, you should have tell your parents before itself. Salman says, I didn’t know that they are going to fix my marriage so soon. He asks for the suggestion. His friend asks him to sacrifice one girl for the other. Salman says, she is girl, not a thing. His friend says, just order. I will get her kill. Salman doesn’t agree and asks for sometime to think. Electricity goes off at Zainab’s house. Alisa says, I will check the electricity. Safia calls Ali. Ali tells Alisa that I have done BBA but I know engineering work also. Ali stares her. Alisa asks him to keep his eyes at the wires and says I know I am very beautiful. See me later. Ali says sorry. Light doesn’t come. Alisa checks the fuse and the electricity comes. Alisa asks Ali to thank her. Ali has no option than to thank her. Ashfaq’s daughter Iqra packs her suitcase and leaves at night. She comes to Salman’s house. Salman opens the gate and sees her. He gets shocked. He asks, why did you come here at this time. Iqra says, I came to live with you. Salman says, you know what I am going through. Iqra says, I came to take my share of happiness. Salman asks her to go. Iqra says, I will beg your parents for our alliance. Salman asks her to let him handle the matter. Iqra says, why you made me see the dreams? Salman asks her to go home now. JD wins the game. Majid asks him not to forget him when he gets rich. JD says, my good days have started and pays the loan to Khalid. Majid asks him to keep the money. Khalid asks JD to play the game. JD says, I have to take your bhabhi now and leaves. Majid tells Khalid, what you are doing? Khalid says, his remote control is in my hands. I will play the game and everyone will see my move. Some guy fights with the fellow student for not agreeing to give him vote. He says, I will give my vote to Agha. Agha’s aides tells Agha that the opposition gang is beating that guy. Agha comes and beats the opposition guy. Maheen serves tea to JD. JD thanks her. Maheen says, your mood is good and I am happy for it. JD asks about their daughters. Maheen says, they have slept. Maheen sees money in JD’s shirt and enquires from where he got the money. She questions JD. JD says, it is my hardwork’s money. Maheen suggests to return her bauji’s money. JD says, did they ask for money? He gets angry and spoils his mood. Bhai Miya’s daughter Iqra prays for her father’s pride and her happy life after Namaz. She tells Zainab that she is scared. Zainab says, your destiny will be good. Iqra says, how can I live alone? Zainab says, girl have to go to her inlaw’s place after marriage. Iqra hugs her. Zainab assures saying you will be very happy. Salman is talking on phone to Ashfaq’s daughter Iqra. He says, I love you very much. Iqra says, You just pretends to love me. I can see the brightness in the lights on your house. Every arrangement have been done for your marriage. I am a toy for you. Don’t call me again and cuts the call. JD tells Phuphu that Maheen saw the money and asked him to return Bhai Miya’s money. Phuphu asks him to hurt Maheen. JD says, she might complain to bauji. Phuphu says, I will take care of her. She asks him to ask a heir from Maheen to keep her mouth shut. JD agrees and smiles. Bhai Miya shows the wedding dress of Salman. Zainab looks at it and says it is very costly. Bhai Miya says, I am giving my precious daughter to them. 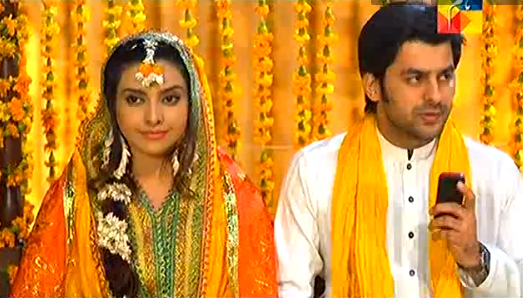 Bhai Miya gets a ring for Rafia as she is going to be Iqra’s mother in law. JD comes home. Maheen says, you came late. JD says, I went to Mazaar to asks for a son. Maheen says, what you got after praying. JD accuses her for giving two daughters. He treats her badly and asks her to go after giving him a heir. Rafia’s relatives tell her that she got a rich inlaws for her son. Rafia says, we don’t need anything. They praise the things. Salman comes home. Rafia tells him that Bari’s thing have come. Salman says, it is the things for my funeral. Rafia is distraught. JD is playing cards. He wins. Khalid and Majid fool him by their sweet talk. JD says, you haven’t seen my game. Khalid says, we will play a big game. JD agrees. Majid asks him to come to some place for the big game. JD is overconfident and agrees to play the big game. Khalid thinks, he will be trapped. At Bhai Miya’s house, Salman is sitting for the Mehendi Rasam and recalls Iqra’s words. Bhai Miya asks Zainab to call Iqra. All the ladies start singing the song. They bring Iqra and make her sit beside Salman for the ritual. When Alisa and Shanze demand money for the rasam. Salman gives the money but is still angry. He gets a call from Iqra. He wonders how to pick the call amidst the crowd. He rejects the call. Iqra is sad and cries. JD is leaving from the function place. Bhai Miya asks him to come soon. JD comes to the gambling place and bids the money. He is confident to win the game. Khalid bids 1 lakh Rs, whereas JD bids for 50000 Rs. Majid provokes JD to play further and asks him to bid the car keys also. JD thinks for sometime. He asks Khalid to show the cards. Khalid tells Iqra that he can’t stop thinking about Iqra since he met her. Ali compliments Alisa’s beauty. Salman runs away from his home. Bhai Miya tells that he got an order from the govt to close the work shop. Salman tells Iqra that his parents have fixed his marriage date. Iqra curses Bhai Miya’s daughter Iqra. She says, this storm will flow us apart. Salman says, Allah’s knows that I didn’t see that girl. I will do something. Iqra says, you can’t do anything, just fooling me. Just remember one thing that you will lose me and I won’t be happy without you. She disconnects the call. Alisa and Shanze bring sweets for Safia. They tell Safia about Iqra’s marriage date getting fixed. Ali comes and greets them. Safia asks Ali, have you done the sweeping etc. Ali says yes. Alisa looks at him. Safia takes Shanze inside to show the house. Ali and Alisa have a small talk. Ali gets impressed with Alisa and smiles. Zainab tells Bhai Miya that they don’t have much time for the marriage preparation. Bhai Miya replies everything will be done. We need not have to take loan from bank. Allah will help us. Zainab says, how we will manage in 7 days. He asks her to take care of clothes and jewellery. Zainab says, we have to take furniture also. Bhai Miya asks her to take Iqra and buys the furniture of her choice. They hope for Iqra’s happiness after marriage. JD tells Maheen that he will get Nahari from the restaurant. He asks Maheen to take care of her beauty and look at the mirror. Maheen says, mirror reflects my heart and feelings. JD says, it seems you are living in jail. He plans to spend some quality time with her in the evening. JD gets a call from his friend Khalid. Khalid says, we couldn’t have fight with each other yesterday and invites him for the card game. JD agrees. Khalid couldn’t stop thinking about Iqra. JD tells Maheen that he got a call from his boss and leaving for work. JD plays card with Khalid and wins. JD is happy and leaves. JD’s other friend Majid asks Khalid, why he lost the game? Khalid tells him that he likes JD’s sister in law Iqra and that’s why he is ready to lose anything for her. He says, I went to Bhai Miya place and was bowled over by her. He praises Iqra. Majid says, that’s what I was thinking why you lost the game to JD. Khalid says, I am working on my moves. Bhai Miya gives money to Zainab and asks him to get the things for Iqra. Zainab says, I will take Alisa as well. Shanze tells her that I am going to the university. Bhai Miya says, I will also go now. Zainab suggest that they shall do the Quraan Khani before the marriage. Bhai Miya agrees. Bhai Miya comes to Qari Zubair and tells his wish to have Quran Khani done at their home. Zubair says, I will come to your house tomorrow. Bhai Miya thanks him. At the university, some guy gives a pamplet to Shanze and asks her to vote for his brother Agha. Shanze says, they are strange. Zainab, Iqra and Alisa come to the shop. Zainab likes one dress. Iqra too likes it. Shop Keeper says, it is worth 8000 Rs. Alisa bargains and gets the dress at 6000 Rs. Shop Keeper says, your daughter is very clever. One couple come to the graveyard and sees Zubair standing at the graveyard and praying for their father. They greet each other. Zubair says, I am Sayeed Hasan’s friend. I used to come here often and offers prayers. Hasan’s son gives him money to take care of the grave. He hesitantly accepts it as a hadiya. Bhai Miya goes to the caterer and hires him for Iqra’s marriage. caterer assures him that he will give his best service. He asks the caterer to send a food vessel on Quran Khani day. Qari Zubair tells his partner that the business today is low compared to the other Thursdays. He gives his share to him. It seems Qari pretends to know the deceased person and offers prayers when he sees their relative coming there and fools them. He gets money to take care of the graveyard. His partner asks for more money and he gives it hesitantly. Zubair asks his partner to come to Bhai Miya’s house for the Quran Khani and they will have a delicious food. Safia offers Namaz and prays for Ali’s happiness and success. She tells Ali that she went to Zainab’s house and asks Ali to design wedding card for Iqra’s marriage. Ali agrees. Rafia asks Salman to agree for the marriage. She says, the other day you were talking too much infront of your father. Salman says, you have decided my alliance and marriage date without my consent. And what shall I do? I shall not even protest? He says, I won’t marry her. Sayeed angrily says, You will marry anyway. You are fighting for a ordinary girl. What do you own? nothing. If you refuse for this marriage then I will disowned you. Then go to your inlaw’s house, someday you will murder someone and go to jail. He says, if you go against my decision then I won’t tolerate you in this house. Zainab, Iqra and Alisa buy jewellery for Iqra. Iqra tells Salman that they will go far away. She asks him to elope with her. She says, we will return after your parents agree. Salman says, it is not right. Iqra says, I can’t live without you. This is the only option. Salman says, with time our problems will be solved. Iqra says, you will marry her in 4 days, I don’t think you can do anything. Salman says, I want to marry you. I want your support. Iqra cries. Ali designs the card. Shanze likes it and says we will finalised it. Ali says, I have to write someone’s number in this card and asks for Alisa’s number. Shanze says, I understood. We have only one Landline set and we don’t have any cell phone. She asks him to finalised the card and leaves. Zubair comes to Bhai Miya’s house for the Quraan Khani. Bhai Miya thanks him. He fools him and gets the money as hadiya. Maheen asks JD, did he encash the cheque? JD says, yes and also gave the token for the cab. Maheen says, it is good we can go home in the cab for Iqra’s marriage preparations. JD agrees to take her sometimes. JD comes to play cards and wins. Ali comes to Bhai Miya’s house and tells Alisa that he came to give the card of Iqra’s marriage. Alisa thank him. Zubair’s friend asks him to give money. Zubair pays him 100 Rs. JD buys the cab. Maheen congrats him. Their daughter’s Zara and Laiba ask him to take them for outing. Maheen says, we shall go to Bauji’s house and thank him for the cab. Phuphu comes and angrily says we will thank Bhai Miya later. Now we are going to dargah to fulfill the mannat. She sits in the cab and leaves with JD. Maheen and her daughters get sad. JD comes to Khalid and Majid and shows the cab. He says, Bhai Miya gives it to me. They praise JD’s luck. JD asks, do you want to play for this. Khalid looks on with greed. Ali is staring at Alisa. Alisa asks him to keep his eyes on the stars and says I know I am very beautiful. Bhai Miya’s daughter Iqra and Salman are seen sitting beside each other during haldi ceremony. JD tells Maheen that he prayed to get a son. Ashfaq’s daughter Iqra comes to Salman house at midnight with her stuff. JD gambles the Cab for the card game. Salman refuses for marriage. Sayeed is shocked. Salman says, I can’t marry. Rafia says, I made you understand. Salman says no. Sayeed asks him to be clear about what he wants? Salman says, he loves Iqra, Ashfaq’s daughter. Sayeed says, they have bad reputation in the society. Salman says, I love her. Sayeed refuses to accept Salman’s choice as his bahu. He says, Bhai Miya’s family is good and respectable people. Sayeed asks him to forget the other Iqra. Ashfaq comes to his daughter Iqra and demands money. Iqra tells him that she doesn’t have any money. Ashfaq taunts her and her brother who was in jail. Iqra says,I don’t have money for your liquor. Sayeed tells Rafia that they have to decide soon. Rafia says, I don’t know what Salman has seen in Ashfaq’s daughter Iqra. She thinks to talk to Salman. Zainab tells Bhai Miya about JD’s demand for Taxi. She said, I told her that we have to marry Iqra first. Bhai miyan says, we will see about her marriage. JD is right. We will get a cab for him. He has self respect that’s why he didn’t talk to us directly and told Maheen to talk to us. He thinks to do something. Salman talks with Ashfaq’s daughter Iqra and assures that he will marry her. Iqra warns her and says I love you very much and nobody can love you more than me. Salman says, I will fight for you with everyone. I will not break with anything. Iqra says, we are made to live with each other. Salman assures her that he would never leave her. Shanze says, I am getting nervous today at the first day of the college. Alisa pulls her leg. Zainab asks Alisa to keep quiet. Shanze leaves. Bhai Miya couldn’t start his scooter. Ali helps him. In the college, two guys are fighting and warning each other. Shanze witness the scene. Phuphu asks Maheen to give the Achaar. Maheen says, Achaar is over. Phuphu taunts her. Maheen says, all the things are over. Phuphu asks her to thank God. She says I eat what you used to eat, I don’t eat anything special. She asks, did you talk to Bhai Miya? Maheen says, I talked to ammi. She will talk to Bauji whenever she gets time. Phuphu says, may be Zainab will get time or not, to talk about JD. Maheen says, she did a lot for us and supports her mother Zainab. Zainab asks Alisa to dial Maheen’s number. Alisa dials the number and gives the call to Zainab. Zainab greets her and asks about her daughters. Maheen says, they are fine. Zainab says, I talked to your bauji and he agreed for the cab. Maheen gets happy and thank her. Ali is drying his clothes and sings a song to impress Alisa. Alisa is standing at her terrace and asks, are you trying to impress me. Ali says, I am just practising. I have done BBA and trying for MBA. Alisa asks her, do you sweep your home also? Ali says, no. Alisa asks him to take care of his clothes. Bhai Miya is instructing his workers. He asks Naser about the payment which are due. Sayeed calls on Naser’s number. Naser gives the call to Bhai Miya. Sayeed says, your phone is switch off that’s why I called at Naser bhai’s number. They greet each other. Sayeed says, we want to come to your home for the engagement. Bhai Miyan welcomes him. Ashfaq’s daughter Iqra is working in her office. Salman comes and says I want to meet Iqra. Iqra says, we can’t talk now. Salman asks her not to worry. I am with you. Iqra says, nothing happens with sayings else you will see my dead face. Salman says, why don’t you trust me. Iqra asks him to take any step. Salman says, I will agree ammi and abbu. Iqra asks him to agree them. Salman says I am trying. Salman asks her not to worry and leaves. Laiba asks JD to get a new bag for her. Maheen asks him to get the ration for home. JD gets angry and asks her not to bother him. Just repair the bag and send Laiba to school. Maheen says, Laiba is a kid, just can’t use the damaged bag. Maheen says, Amma called me as Iqra is getting engaged. JD asks her not to attend the function. Maheen says, we have to attend it. JD refuses. Maheen tells him that bauji called him tomorrow for the cab matter as he agreed to get a cab for him. JD gets happy. JD’s friend asks him, from where he gets the money for gambling. JD says, I gambles with my father in law’s money and not with your father’s money. His friend asks him to pay his money else he will tell Bhai Miya. They have an argument. His friend thinks to expose him infront of Bhai Miyan. Ali recalls Alisa’s saying to him. Alisa tries to get the dupatta from far away. She climbs the terrace and gets her dupatta. Ali thinks his dream girl Alisa is coming to meet him. Alisa walks down the stairs and Ali gets surprised to see her. He offers to drop her home but Alisa says she can manage. Bhai Miya comes home and asks for his clothes. Alisa goes to get it. Bhai Miya is talking on phone to the caterer. JD’s gambler friend comes to his house. Iqra goes to check and asks, from where you came? He stares at her. He asks about Bhai Miya and leaves smilingly. Salman says, I am amazed. I refused you but you are still insisting. Rafia asks him to forget Ashfaq’s daughter Iqra. Salman asks her to think about his feelings. Rafia praises Bhai Miya’s daughter Iqra. Salman says, don’t you care for me even for a moment. Rafia says, you will give us dua when you lead a happy life. Sayeed calls Rafia. Salman shouts that he won’t marry. Sayeed and Rafia come to Bhai Miya’s house. They see Iqra and praise her beauty. Sayeed says, she is our Amanat now. Bhai Miya says, she is your daughter now. Sayeed says, we will take her in 7 days. Bhai Miya and Zainab say that the marriage is too early. Sayeed and Safia insist on the early marriage day after 7 days. Bhai Miya agrees. Sayeed says, we will come after 7 days with the Baraat. Salman tells Iqra that his marriage has been fixed. Iqra is angry. Salman says, they will plan his wedding after 2 years. They will find a solution until then. Iqra says, what I shall do? Shall I wait for the day when you becomes a groom. Salman says, no one can seperate us. Iqra says, I will kill you if you marries someone else. She gets a call. Salman says, I will leave now. Bhai Miya asks JD about the money needed for buying the cab. JD says, 3 Lakh Rupees. Bhai Miya gives the cheque of 3 Lakh Rupees. JD acts innocently and says Maheen told me to ask you for money. Bhai Miya blesses him and asks him to take care of Maheen and daughters. Zainab blesses him. Alisa looks at Salman’s photo and says he looks like Dabangg Salman Khan. Shanze pulls her leg. Iqra says, I don’t want to see as Ammi and Abbu have seen him. Iqra says, I have to offer namaaz. Salman calls Iqra and says that his parents has decided his marriage date after 7 days. Iqra curses Bhai Miya’s daughter Iqra. Salman says, I won’t marry her in any circumstances. Maheen tells JD that we will go and thank to Bauji for the Cab. Phuphu shuts her mouth. JD’s friend tells his friend that he wants to marry JD’s sister in law. Salman tells Rafia that you are forcing your decision on your son and I couldn’t even protest. Kisay Apna Kahen highlights the tribulations of a middle-class family. The story revolves around a father who loves his four daughters and takes decisions for their future. Unfortunately these decisions turn out to be all wrong. Kisay Apna Kahen focuses on human psychology, greed, love and problems existing in our society. Bhai Miya comes home and calls his wife Zainab. Zainab is seen offering Namaz. Zainab greets him and says I was praying after offering Namaz. He says, your prayers are answered, I have fixed your daughter’s alliance and gives her sweets to distribute. Iqra comes and asks Zainab to fix her broken ring. She greets her father. Zainab asks her to distribute the sweets among them. Bhai Miya asks about his other daughters. Iqra keeps the sweets in the plate. Her sister Alisa and Shanze ask about the reason for bringing the sweets. Iqra says I don’t know. They come outside and greet their bauji. Baui says, I fixed your sister Iqra’s alliance. Zainab asks, who are they? Bauji says, he is sayeed bhai’s son Salman. Our daughter will be very happy there. Zainab prays for her daughter’s happiness. Bauji says, think as if our daughter will go from one home to another home. Bauji praises Salman. He asks for Iqra’s approval. Iqra agrees. Alisa says but…..Bauji warns them not to challenge his decision as his decision is final. Salman refuses to marry. Sayeed says, we are not forcing you to marry now itself, marry sometime later. Sayeed says you are not a kid anymore. Salman says but…I don’t know that girl, how can I agree for marriage. Sayeed asks, haven’t you heard Bhai Miyan’s name in the entire Khairagarh? He asks his wife Rafia to make Salman understand. Salman refuses to marry. Sayeed says, we don’t want anything bad for you. We are your parents. Rafia says, we will not get a good family again. Salman says you don’t care about me and forcing your decision on me. Sayeed asks Salman to come to the shop soon. Salman leaves angrily. Alisa tells Zainab that buaji declared his decision about Iqra’s marriage.Zainab says, he even broke the pen after declaring his decision. She says you know your bauji naa. Alisa says, we are fighting for your rights and you are keeping silent. Iqra says, destiny have taken my life’s decision. Shanze says, you didn’t say anything. Bauji came and declared his decision like a king. Zainab says he is the king of this house. They argue that buaji should have ask for their opinion and consent. Zainab says, Iqra is my obedient daughter. Alisa says, obedient or a coward. Maheen checks her daughter Laiba’s body temperature and calls her mother in law phuphu. She tells her that Laiba is having 103 degrees fever. Phuphu says, it happens sometimes and asks her not to disturb her husband. Maheen’s husband JD is playing cards and loses the game. He asks the fellow gambler to distribute the cards. Maheen tells her phuphu that her husband is not giving her any money. You know that Ammi fulfilled for our every needs. Phuphu praises her son and taunts her for bringing bad luck. Maheen thinks to call her husband JD but her mother in law stops her. She taunts her. Maheen replies that destiny is not in her hands. She taunts her for not giving a male child. JD asks his friend to give money to him. His friend says, I know you relation with the gambling will never end. JD asks for the money. He gives the money. Jedi says, I will repay you money once I get it. They laugh. Bhai Miyan asks his daughters and wife, who are opposed to my decision. Alisa says, you should have tell us before deciding about Iqra. Bhai Miyan asks, shall I decide after talking to you? Or take you opinion? He tells Zainab that they are thinking that he is getting old. He says, I have finalised my decision and is responsible for it. JD comes home. Maheen asks for money for home expenses. JD asks him to get the money from her father’s Bhai Miyaan’s house. Maheen says, I don’t want to asks bauji. JD says, I don’t have money. My salary is finished. Phuphu says, Maheen is right, till when Bhaiji will take care of your home needs. She shuts JD’s mouth. New neighbours come in the Zainab’s neighbourhood. Ali is keeping the things inside. Zainab comes in an auto and greets Ali’s mother Safia. Safia says we are your new neighbours, just shifted here. She introduces her son Ali to Zainab. Zainab asks her to tell if she needs anything. Ali and Safia thank her. JD tells his mother that he don’t have money as his salary is low. Maheen says, I always forwards my hand infront of my parents. Phuphu says, I understand your feelings. JD says, I am going for work. I need money for business. Phuphu praises Maheen and says JD is a driver, doesn’t have a sufficient money. Maheen asks what to do? Phuphu asks Maheen to asks a taxi from her father Bhai Miyan. Salman refuses for marriage. Rafia asks, what is your problem. Salman says I want to focus on business and stand on my feet. His mom emotionally blackmail him. Salman gets angry and says I will not agree to your sayings. Bhai Miyan distributes sweets at his workshop. Naser asks him to talk to Khalid Bhai. Bhai Miyan talks to Khalid Bhai and asks him to get the materials delivered till the evening. Rasheda tells Bhaimiyan that her husband is not well and needs 9000 Rs for his treatment. Bhaimiyan readily agrees to give her money. Zainab tells Alisa to take the food for their new neighbours. Alisa says, I am very tired. She calls her younger sister Shanze and asks her to take the food for their neighbours. Shanze flatly refuses. Zainab asks Alisa to take the food. Alisa comes to give the food to their new neighbours Ali and Safia. Ali looks at her and thinks she is the girl of my dreams. Alisa thinks his character is loose that’s why he is staring at me. They have an eye lock. Alisa handover the food plate to Ali. Sofia thank her and praises the dish. JD comes home and tries to convince Maheen to ask a taxi from her father Bhai Miyan. Maheen refuses. JD hurts her. Mahi agrees to ask for money. Bhai Miyan is talking on phone about his daughter’s upbringing to Sayeed. Sayeed says, my son has agreed. Bhai Miyaan asks about the engagement date. Sayeed says, I will tell you after talking at home. Salman tells his friend Shijaj that he refused for marriage. Shijaj says, you father will force you to marry. Salman says, I am not prepared mentally. Shijaj asks him to tell if he has any other problem. 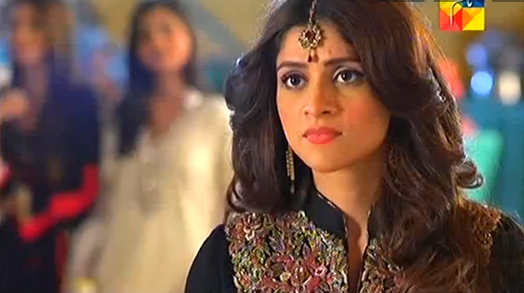 Maheen comes home and tells Zainab about the torture and difficulties she has been suffering. Zainab asks her to have patience. Maheen complains that her husband JD couldn’t provide the food to her daughters. She says, your son in law JD is demanding a cab now. Zainab says, recently we bought a house for you. Maheen says, he wants to drive his own cab. Zainab says, I will talk to your Bauji but can’t promise anything,Iqra’s marriage proposal is going on. Ali asks Safia, shall I give the Rabri to our neighbours. She says, I will give it, but Ali insists and goes to Bhai Miyan’s home. He rings the bell, Shanze opens the gate. Ali introduces himself. Ali gives their plates and says ammi send hyderabadi rabdi. He looks around for Alisa. Shanze asks, are you searching someone? Ali says no. JD talks with his gambler’s friend about destiny and money. Maheen calls and asks him to pick her from Bauji’s home. JD asks her to ask her father to drop her. Bauji gives the chocolates to Maheen’s daughter. Maheen greets him and says I am going home. Bauji says, I will drop you home. Maheen calls her daughter Zara and Laiba to get ready. Iqra is praying namaaz. Shanze and Alisa tell her that you didn’t do the right thing to agree for marriage. They praise Salman and says he is also obedient son. Sayeed is speaking with his wife Rafia. She says, Salman refusing to marry Iqra. Sayeed asks her to agree Salman. He asks, I don’t understand why you are refusing for marriage? Tell us, why you don’t want to marry. Bhai Miyan is asking for the engagement date. Salman says, I can’t marry as I love some other girl. Salman talks to his ladylove and says I will fight with everyone for you. Sayeed says, Salman is getting rebellious. Someone comes to Bhai Miyan’s house and Iqra opens the door. He looks at her. Rafia says marriage is fixed, we will take our daughter after 7 days.